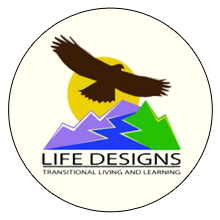 Parent Testimonial for Life Designs Inc.
We knew our son was involved with drugs, but did not know how bad. We heard about Life Designs from a friend. We explored the Life Designs website. Our son believed it was the right place for him. He loved that he would be able to snow board and do other outside activities. We called the Director of Admissions. When our son was ready, he arranged everything. In February 2015, our son got on the plane from San Diego. After four days in the rehab hospital in Spokane, he met with Vince, the owner of Life Designs Ranch. They headed to Cusick, Washington. From that day on we were able to sleep at night. I was told that he might try to talk us into wanting to come home, but I think from the start he knew Life Designs Ranch was his salvation. The staff truly cares for your child. Knowing that your loved one is supported round the clock is very reassuring. In May we traveled to Spokane to attend a parent workshop and visit with our son for three days. We noticed a difference right from the start. He was calm, did not try to start any battles or manipulate us. He was pleasant to be with. We returned again in July for his Rites of Passage ceremony. It was well worth the trip. Six months have passed quickly. He graduates next week. He has matured and is responsible for his actions. Next week he will be on his own. Am I nervous? Yes. However, I have confidence that he has leaned life skills to thrive. When I think about the money we spent, yes, it is a lot, but well worth it. We have our son back. He smiles and laughs and has a great view on life. We will never look back after sending our son to Life Designs Ranch and I know that the Life Designs experience will be with him for a lifetime. Did you enjoy our Spotlight on NATSAP Programs? We sure did! We will restart that project in January of 2016 but would like to shift our focus to the success/testimonial stories that come from the amazing work that our Member Programs do. Starting on September 23rd NATSAP will begin highlighting the stories that we have received from parents and former students. We have compiled a repository of testimonials but would love to see more. Please send your stories to megan@natsap.org and as always feel free to peruse the Journal of Therapeutic Schools and Programs for the hard data that we love so much. Registration is CLOSED for the Northeast Regional Conference. We have reached our maximum capacity for attendees. There will be no onsite registration. Thank for your continued support of NATSAP Conferences! LOCATED IN ATLANTA, Skyland Trail is a nationally recognized nonprofit mental health treatment organization serving adults ages 18 and older with a primary psychiatric diagnosis. Through our residential and day treatment programs, we help our clients grow, recover, and reset to a new normal. We’re focused on individuals with complex mental health issues, helping them understand that they are more than their diagnoses dictate. In addition to a primary mood, thought, or anxiety disorder, many clients have co-occurring substance abuse, borderline personality disorder, or anxiety diagnoses. We offer a unique continuum of care with deliberate step-downs and reintegration points. Our continuum includes residential care, day treatment, intensive outpatient, transitional housing, and an alumni program. We offer a tailored mix of evidence-based and supportive therapies to help clients reclaim their lives. Clients help develop an individualized treatment plan and are assigned to a specialized treatment team, schedule and peer support group based on their diagnoses, symptoms and self-defined goals. Specialized teams include Young Adults with First Episode Psychosis, CBT, DBT, and Social Integration. Dual diagnosis programs are offered as a secondary focus across all specialized teams. Our integrated medical, mental, and social model helps clients develop strategies to improve mental health, physical wellness, independence, and relationships with family and friends. Unique therapies offered include music, art and horticultural therapy, workforce and school readiness, primary care services, family therapy, and healthy living and nutrition coaching. Opening in 2016: Construction has begun on our new 32-bed Young Adult Campus for emerging adults ages 18 to 26! NATSAP is proud to shine the spotlight on our wonderful member programs. If you would like to participate, please e-mail megan@natsap.org with your program description.